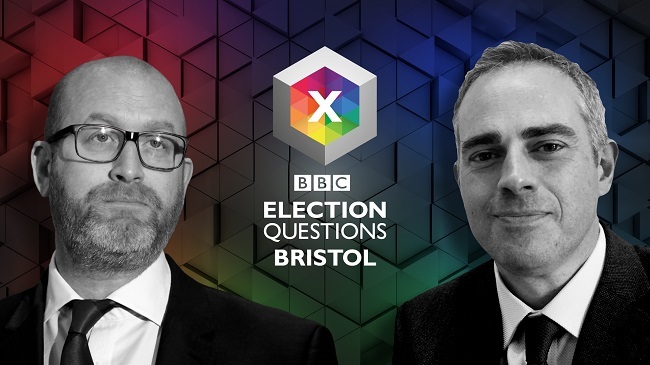 The Bottle Yard Studios hosted ‘Election Questions 2017: Bristol’ on Sunday night, produced by BBC News. Jo Coburn presented a political debate in front of a selected audience with Jonathan Bartley, co-leader of the Green Party and Paul Nutall, leader of UKIP. The programme aired on BBC One at 10.35pm on Sunday 4 June 2017 and was repeated on BBC News 24. You can watch the programme in full on BBC iPlayer HERE.